I love my static grass applicator. The look of static grass on a layout can't be beat. 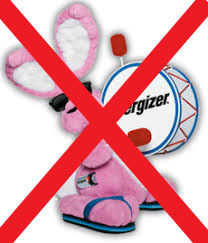 But it's a killer on batteries. Never seem to have a fresh 9 volt battery when I need one. And what I find astonishing is that it's taken me this long to address the problem. I simply got a 9 volt dc power adapter and hardwired it into the Grassmaster. The real challenge was trying to find an adapter in town. None of the "usual suspects" had one. Wound up buying one at Best Buy in London. Now I'm waiting for my order of static grass to arrive. Ran out over the weekend! Just add a few helpful friends! A few pals come to visit yesterday and helped kick start a big mass of scenery creation. This 30' long section of mainline needed a layer of Sculptamold and a coat of base paint in preparation for ground cover and textures etc. So Trevor, Ryan and Doug were handed bowls, shown the 25 lb box of Sculptamold and let loose. In a few short hours the entire expanse was covered and ready for paint. Which was quickly applied, leaving me now with a a nice clean palette upon which I can apply ground covers. While those 3 were busy, Chris volunteered to add drop feeders and main line bus in the section of mainline that is now in the furnace room. Not very glamorous, but oh so essential. Me. I was busy refining my static grass techniques and playing with different looks for the fields around the turn of the backdrop. There are 3 different field treatments going on in this photo. And each will be separated by a tree line, which you can see I've started to indicate with tufts of Poly-Fiber. They'll get Noch leaves applied and then I'll work in 3" and 4" trees. The work force was rewarded with a lovely dinner prepared by my wife Kate. And few of the world problems were solved as the wine flowed some. Today, rather than sequester myself in the basement yet again, I chose to sashay out into the big bad world and take in the Ancaster Train show. Just an hour and a half down the highway. Got to see a few old friends, brush past the few unwashed types who seem to always populate these shows,(What's up with that anyway? Water's not the expensive! 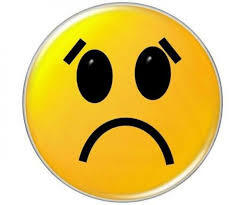 For crying out loud people, bath!). And perused the tables looking for treats. One of those WIF cars in Philadelphia. based upon the reweigh date, between 1952-54. These WIF cars sure got around. I've been having people tell me they've seen pictures of them in the NW, in Sudbury, ON, to name but 2. And that is the prototype of one of our latest kits. And I bought more tree armatures from my favorite supplier. They offer, what is for me the nicest plastic tree armatures out there. 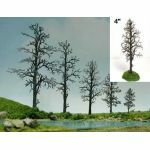 Unlike the armatures from Woodland Scenics, these are cast with branches on 4 sides, resulting in a nicer looking tree, IMHO. Now to find all the tree stuff. Another delightful and successful Chicagoland RPM is in the bag. Many thanks to Mike Skibbe and his crew for making this grand-daddy of the RPMs an ongoing success. And my thanks to all of you who continue to support Yarmouth Model Works and make this little business another ongoing success. I did come to the realization that Yarmouth Model Works is now the 3rd largest resin kit maker in the model train world. And that's in no small part due to the clientele being willing to support us as we continue to try and offer the best resin kits possible. We've had a few stumbles, but we learn, we improve and we move forward. 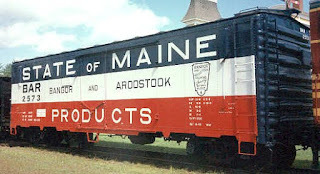 The body master for what will be the next ACF postwar 40' boxcar. 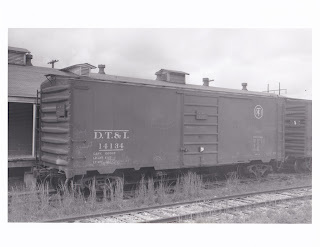 The DT&I 14000 series boxcar. There are a couple of other cars to come first, (patience Schulyer, you're next). But even before that we have to restock inventory from the RPM. My sale table was reminiscent of the frenzies in the old Sunshine sales room, back in the day. A good problem to have! Again, my heartfelt thanks to all of you who continue to support Yarmouth Model Works. Nothing like working to a deadline! Here they are, the first 3 of a series of HO scale boxcar kits, which are recreating the AC&F postwar 50 ton, 40' steel boxcars. These cars all have the ACF designed "Carbuilders" roof and the "Carbuiders" end. This roof design has never been offered in a boxcar kit before. The kits all have custom decals, custom etchings, one piece bodies, and include Kato ASF A-3 trucks. The kits will be initially offered for sale at the Chicagoland RPM at the end of this month. And will be on the website right after that weekend. The kits will retail for $60.00 USD ea. I'm super pleased with how these models have turned out and I hope you are too. Now I'm going to lean back in my chair and relax for a bit. Cause I'm in pre-RPM frenzy again. The Chicagoland RPM is mere weeks away and yet again, here I am not quite ready. 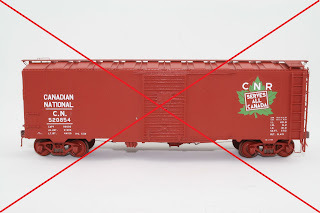 On the bench are the 3 pilot models for the ACF built boxcars. By end of day they should be ready for the etched running boards, but they are still somewhere between here and Germany. However I do expect to have the running boards in hand by weeks end. Which means paint this weekend and decals this coming week. And while things are drying it'll be writing instruction packing kits, etc. In a remarkable change of habit, this year, I'm not waiting on castings. A box of boxes, each white box contains a little bit of modeling joy. Well the clock is ticking and thee things don't build themselves. Alright all you S scalers! They're done and now available for sale! The Yarmouth Model Works S scale CNR '37 AAR cars with NSC-2 ends. 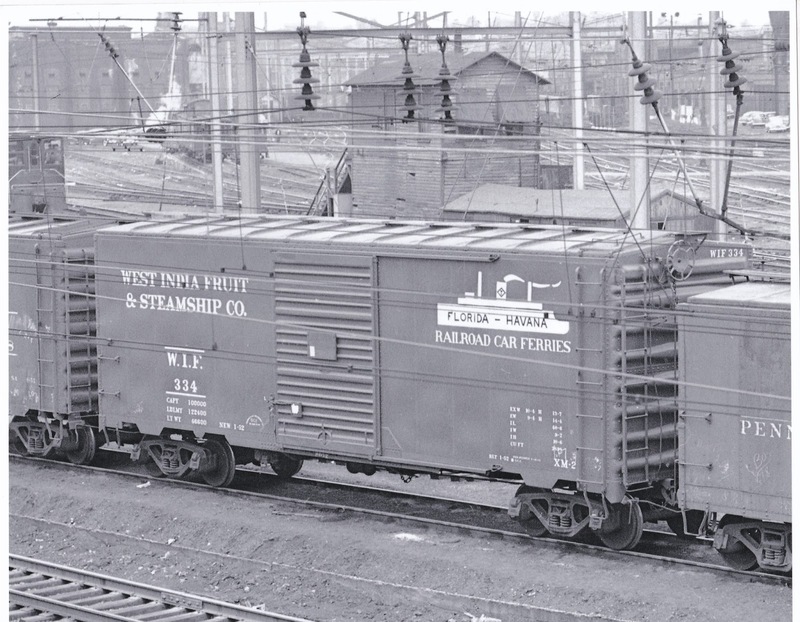 In the late '40s and early '50s, American Car & Foundry built a large number of 40' boxcars, for a variety of railroads, that used their own roof and/or end designs. Over the last 3 years, I've been working slowly but surely towards offering HO scale resin kits of some of these cars. Our first challenge was getting the ends and roofs created. We are blessed with great drawings of the AC&F proprietary roof, but without good images it was tricky to understand exactly what we were looking at. As you can see, some rather unique stamping was employed to create this roof. 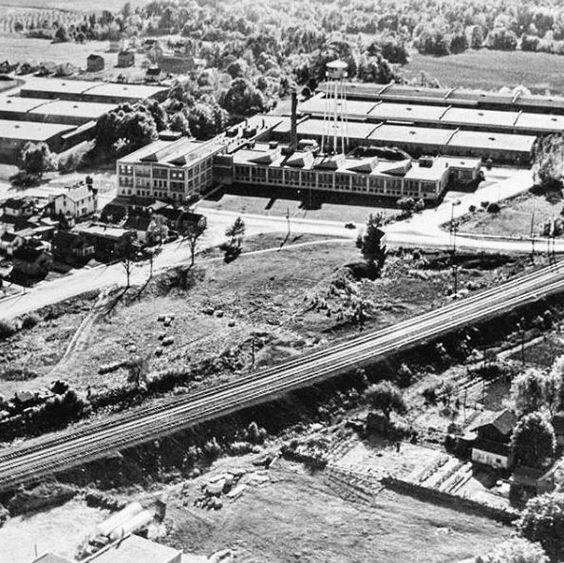 Based upon data gleaned from the articles in the Railway Prototype Cyclopedia, there were 11 roads that chose to have this roof applied to their car orders, resulting in some 4,210 cars on the rails in the '50s. 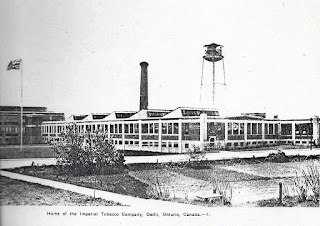 The AC&F corrugated end was almost as unique in design as the roof. The circular dimples down the length of the corner post certainly is distinctive. But I do wonder whether or not it really had any real effect. This end was less popular with purchasers, with only 3 roads buying cars with this end applied for a total of 2100 cars on the rails. A far more popular end was the "Carbuilder" end. The signature element of this end is the distinctive rectangular top corrugation. This was a more popular end design for AC&F with 11 roads buying cars with this end for a total of 4,910 cars on the rails. 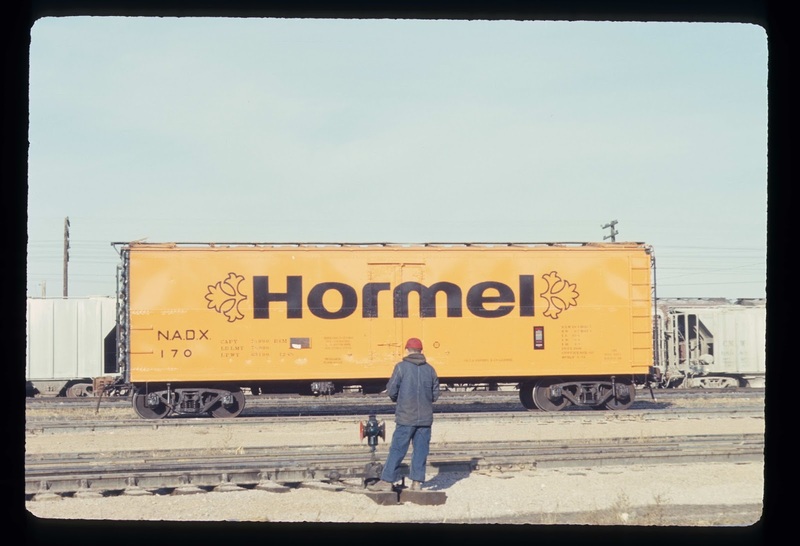 Starting this October at the Chicagoland RPM Yarmouth Model Works will be releasing the first 3 HO scale kits of AC&F 40' boxcars. The WIF car will have both the white lettering for the Boxcar red car and the yellow lettering for the green car. They will then be available for sale through the website right after the October RPM. There will be more AC&F built cars coming in the next little while. And that other S scale project! 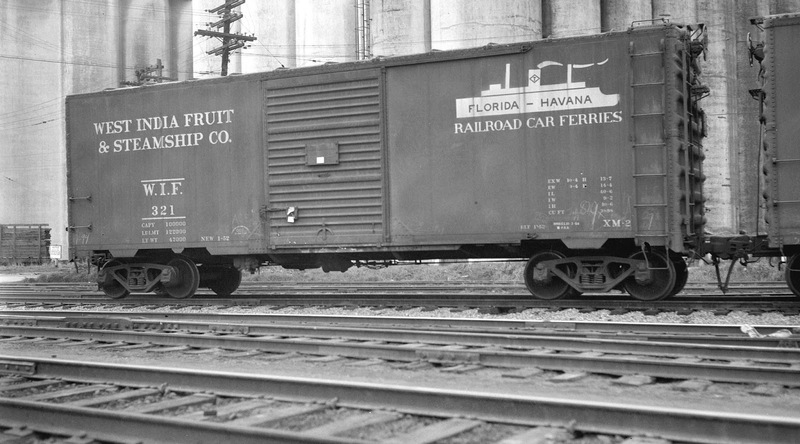 The CNR 1929, 40' single sheathed boxcar. This model will be marketed by Ridgehill Scale Models, just as soon as we can get kits to him. Casting this car is taking longer than I'd hoped due to my caster being up to his proverbials in other life stuff, but I know he's trying real hard. Yarmouth Model Works intends to release a number of new HO scale resin kits this October at the Chicagoland RPM, in Lisle, IL. This model is fully done, I just need to write the instructions and get parts cast. 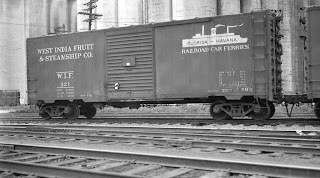 Finally we'll have some of the ACF built 50 ton 40' boxcars. As you've come to expect all these kits will have one piece body castings, photo etched details, custom decals and trucks. Expected retail price will $60.00 USD per kit. There are NO advance reservations, no presales, etc. 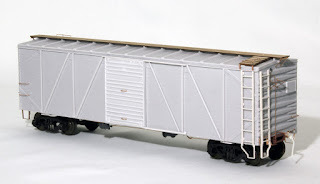 And there are more ACF boxcars coming as well as other kits this coming winter. It's not all minority scales around here! Here's one of 4 kits I hope to have ready for the Chicagoland RPM in October. This will be our 2nd model fully worked up in CAD and a 3D printed casting master. 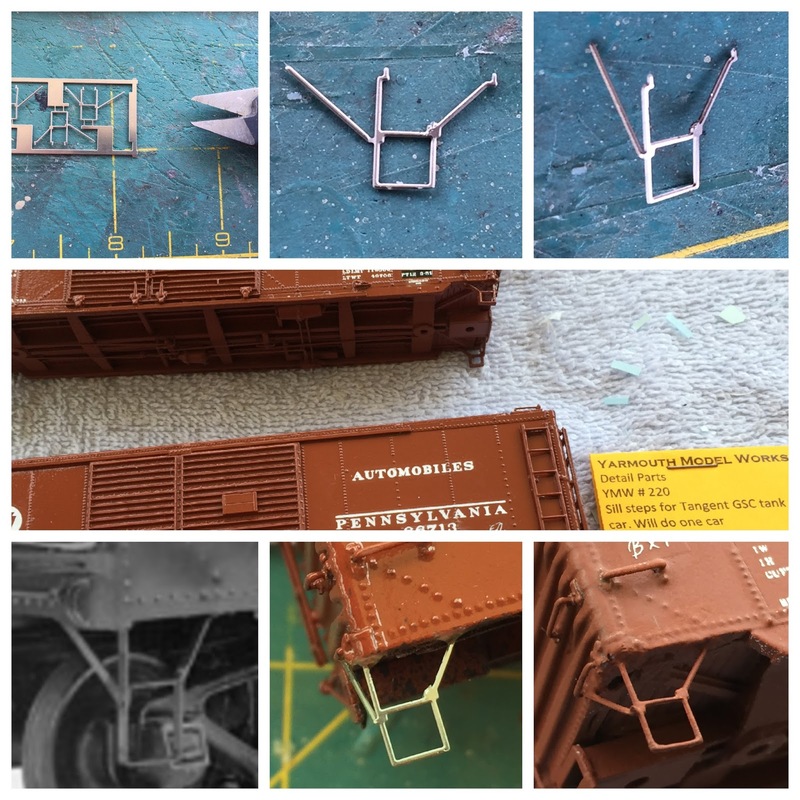 As usual, the kit has laser cut running board, photoetched details, custom decals, Tahoe Model Works trucks, all the stuff you've come to expect from Yarmouth Model Works. This particular kit will be released fist at the RPM, and then available on the website. The resin kit elves are working furiously at having some of the AC&F built 40' boxcars ready for the show as well. But we're nearly ready for sales! 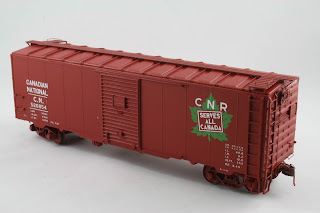 The S scale CNR 1937 AAR boxcars are now getting decaled. but I thought I'd share a sneak peak as to how they look right now. 2 different roof styles which will cover off 6 build lots of cars ordered from National Steel Car, totaling some 5,765 boxcars for the CNR fleet. 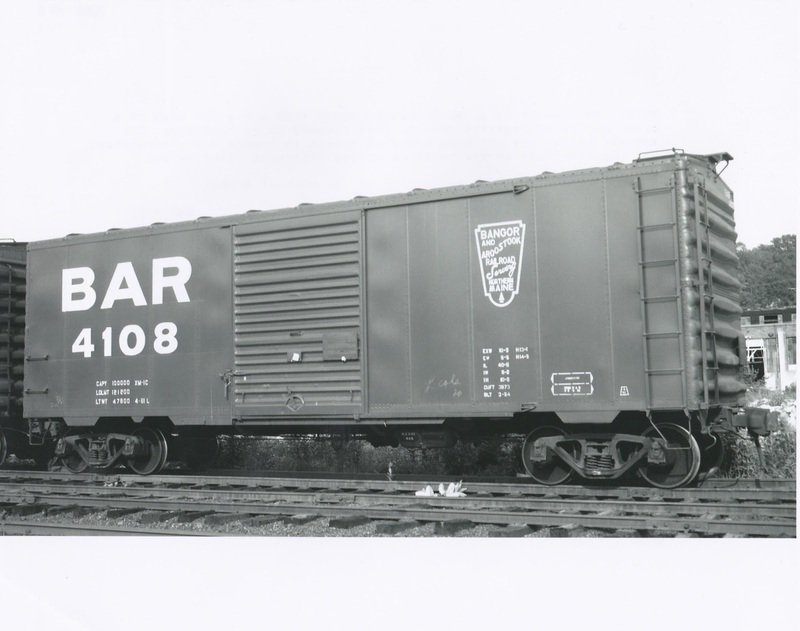 But that's only about 25% of the CNR 10'IH boxcar fleet based upon the '37 AAR design. Now before any of the Americans in the crowd ask, yes these cars would have been seen all over North America through their life span. I hope to have these available through the website in a month or so. This car nears completion. 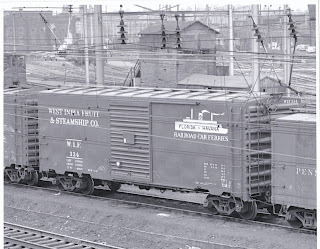 The CNR 1929 Single sheathed boxcar. I need to have the brake step cast and then I can add the last of the details and start flinging paint at it. A little bit of a shout out! There are days when the interweb is truly invaluable. 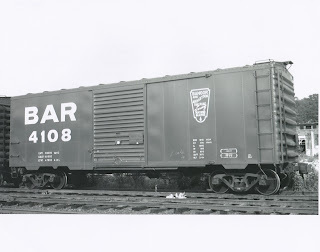 As a result of a little exchange on Facebook I discovered GLX Scale Models. Now there's lots of stuff on this guys website that is of little appeal to me, but these wheel stops grabbed my attention. I ordered up 2 packs and I was not disappointed. A quick prime coat and then a coat of yellow and a wash of black and we're in business. The wheel stops are clean with a minimal cleanup required. Just the thing to keep those cars from rolling too far. In other news, it's been a very hectic few weeks here. I will be announcing 4-5 new kits in a couple of weeks. Well that only took 2.3 years! Today I managed to run a way freight from the St Thomas yard, into Aylmer. Now all those customers in Aylmer can start getting the rail traffic they've been hollering for! Still have so much to do in the town, mind you. 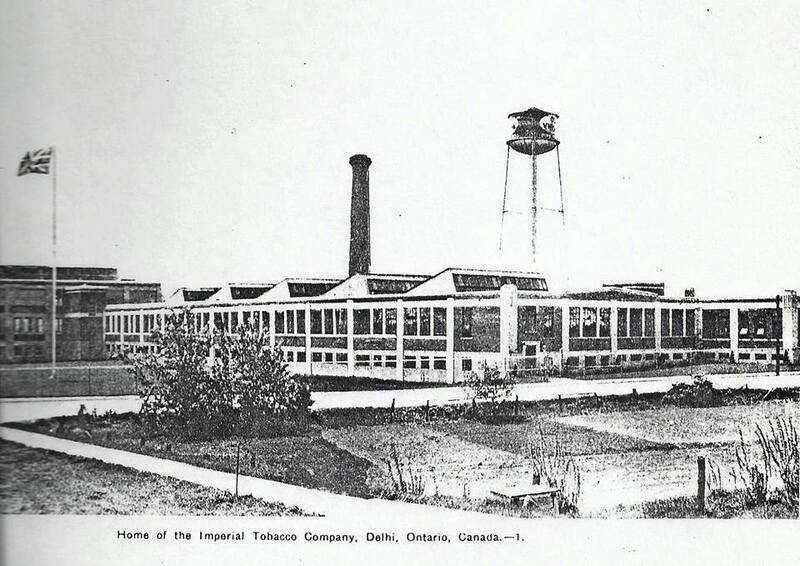 Canning plant, stock yard, freight house, coal dealers, milk condensing plant all need to be built. And then there's all that ground cover. But that's all for another day. Today, I rest on my laurels a bit. Eric Thur has taken one of Yarmouth Model Works sill step designs and applied them to a car we didn't even consider at the time. 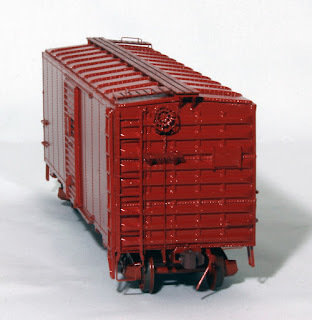 While browsing Yarmouth Model Works HO Photo Etch Stirrup section, I came across YMW-220. This Stirrup set, (sold as a replacement for Tangent’s GSC Tank car RTR Models), can be easily modified to replace Funaro & Camerlengos PRR X37, a, b, X38 kits. 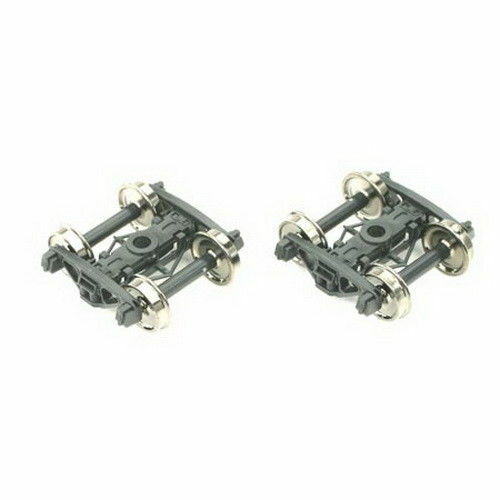 Most resin cast Stirrup Steps from kits are fragile and can break easily. Also they are much thicker than prototype Stirrup steps. By cutting one step leg, you can make a prototypical looking Stirrup with the correct looking thickness as well as the strength of metal. 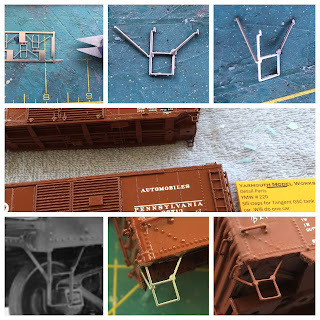 First, carefully cut the Stirrup part from the sprue (I highly suggest using XURON #440 Photo Etch Scissors). Sand the edge carefully with an emery board till smooth. Carefully cut off the vertical leg closest to the angled leg (See Photo) the one with the point at the end. Do Not cut the vertical closest to the angled corner support (the one that bends 90 degrees (no point on end). Don’t try to cut too close to the joint; you can leave a little metal there which can be trimmed with a Xacto blade. Carefully cut downward with the end of the blade to remove excess metal (Do not try to shave the metal off by slicing sideways) you will damage the part. Next, bend the angled corner brace leg carefully at an angle 90 degrees. Test fit the part to the underbody. You want the outer vertical leg to be as close as possible to the end of the car body so that the angled brace lays flat against the end sill under the grab iron’s inner side. Adjust angle if needed. Mark your drill points and drill with a #70 bit. Check your step is straight and the corner brace fits level with the body end. Carefully attach with ACC. Check alignment and let dry. Remove any excess ACC if needed. Paint your model. Although the YMW-220 is slightly shorter than the original prototype, they give a much cleaner and authentic appearance than the kit parts. That's a lot of Orange! Now I've built a lot of reefer kits over the years now. Sunshine, Westerfield, Tichy, etc. These 5 were a new experience for me. 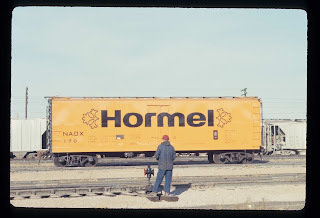 These kits were created by the late Stan Rydarowicz, to recreate the Hormel company steel reefers. 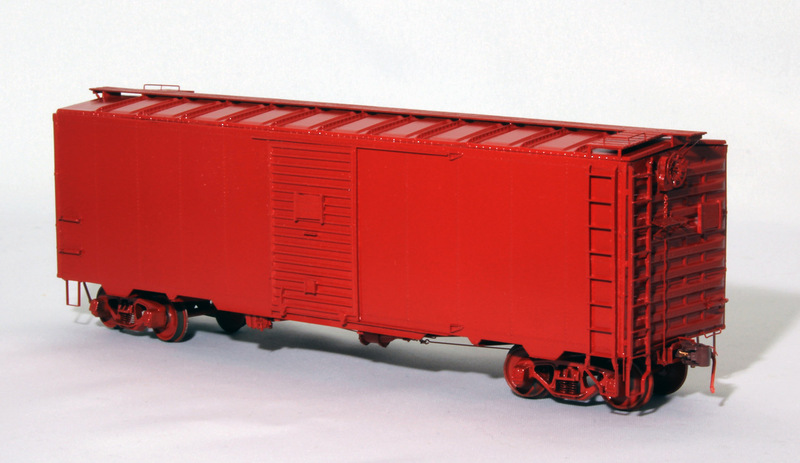 The kits use an Intermountain PFE reefer kit as a core, and Stan created resin ends and sides to accurately model these cars. I had to do a little digging to discover the correct shade of orange for these cars and consensus was the orange you see on the models. I mixed Scalecoat reefer orange and reefer yellow, 50/50, to tone the orange down a tad. And they're still pretty bright! Decals and flat finish will calm things down I'm sure. Another day of paint curing and I can apply decals, and put away my sunglasses! No NBWs on this bad boy! 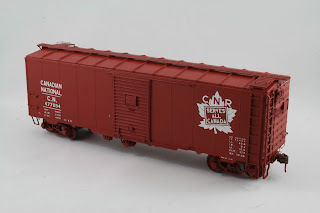 Just finished this lovely O scale caboose kit, from Mullett River. These are such well done kits, it's a shame the Glenn can't continue to produce them. A nice mix of laser cut and photo etched parts. I've built a number of his cabooses now, and they've all been a pleasure to work on. And my soldering skills get a bit of workout, on the underframes, end railings and ladders. Which is not a bad thing. I'm almost done assembling these 2 Mullet River Models boxcar kits. And frankly I'll be happy to get paint on them soon. These guys turned out to be more work than I'd anticipated, but the end results are well worth the effort. 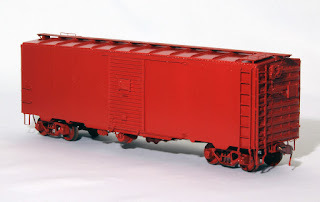 Theses O scale boxcar kits come with a lot of details to add. It's taken me days to add the over 350 individual nut/bolt/washer castings. 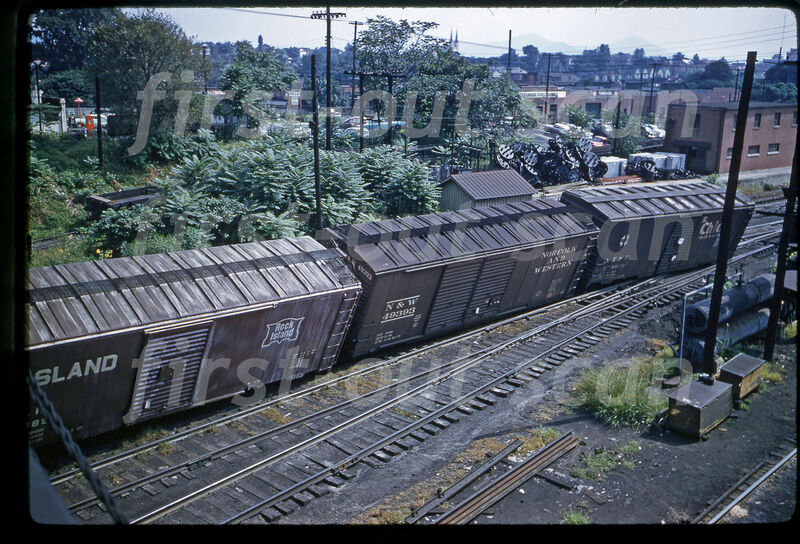 2 for every grab iron, 80 on the lower belt of the Great Northern car, etc. But I can honestly say, I've had my fill of NBW castings for awhile.